1. So what is Zika virus, anyway? Zika virus is a relatively small virus in the flavivirus family. In terms of the virus’ structure, Zika virus is similar to other viruses in the same family, which includes Yellow Fever virus, Dengue virus, and West Nile virus. 2. How do I become infected with Zika virus? Zika virus has mainly been transmitted to humans by the mosquito species Aedes aegypti, which is mostly found in tropical regions in the world. With time, however, we may find that other species of mosquito can effectively transmit the virus to humans. While Zika virus does not usually pass from person-to-person, there have been a few isolated cases where Zika virus was sexually transmitted from an infected, symptomatic person to an individual who had not been previously exposed to Zika. Since scientists do not know much about the sexual transmission of Zika virus, doctors in the UK have recently recommended that anyone returning from a Zika-endemic area utilize condoms for at least one month after returning home. 3. Where did Zika virus come from? And why are we just hearing about it now? Zika virus was first isolated from a monkey in Uganda in 1947. The first known human infection was detected in Nigeria in 1954. It wasn’t until 2007, however, that Zika virus caused its first identified outbreak in Micronesia, where at least 49 people were infected. 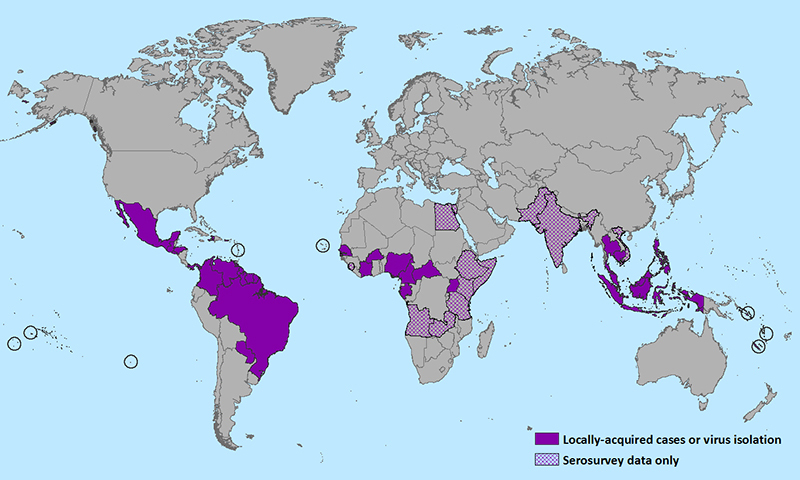 Since its classification as an “emerging disease” in 2007, Zika virus has spread further throughout Africa, the Pacific Islands, and, in 2015, to the Americas. Zika was first detected in Brazil early in 2015, and within the year it has spread like wildfire throughout Central and South America. Considering that before 2007 only 14 human cases of Zika virus had been identified, and in December 2015 the CDC estimated that up to 1.3 million people have been infected in Brazil alone, Zika virus has, quite literally, exploded onto the scene as an important emerging pathogen. 4. What happens if I am infected with Zika virus? Fortunately, Zika virus infection is very different from Ebola virus infection. In fact, it’s estimated that up to 80% of people who are infected with Zika virus are asymptomatic, meaning that they show no symptoms. For those individuals who do display symptoms, Zika virus infection is characterized by an onset of fever, skin rash, and joint pain that is usually gone within a week of appearance. 5. How do I know if I have been infected with Zika virus? Since Zika virus has so recently emerged as a health threat, there are no commercially available tests for Zika infection. Moreover, tests that look for antibodies against Zika virus in one’s blood can give ambiguous results since Zika virus is so closely related to Dengue and Yellow Fever virus. If a person has been previously infected with Dengue virus or infected/vaccinated with Yellow Fever virus, the antibodies in their blood can cross-react with the test, confounding the results. The only accurate way to determine if a person has been infected with Zika is by analyzing their serum using a technique called RT-PCR (reverse transcription-polymerase chain reaction), which can specifically detect copies of the Zika virus genome. 6. What is the current treatment for Zika virus infection? There are no drugs currently available that treat Zika virus infection and there is no vaccine available either. Considering how recent the Zika virus outbreak has been, this is not surprising. There are several drug companies working to develop a safe and effective vaccine, but as with all vaccine development, these things take time. Doctors are currently recommending rest and the use of Tylenol to relieve symptoms due to Zika infection. 7. So if Zika virus infection is typically non-lethal and relatively mild, why the fuss? The real reason this Zika virus outbreak is so worrisome is due to its association with birth defects, specifically microcephaly, a congenital birth defect characterized by an unusually small head, incomplete brain development, neurological defects, and reduced life expectancy. 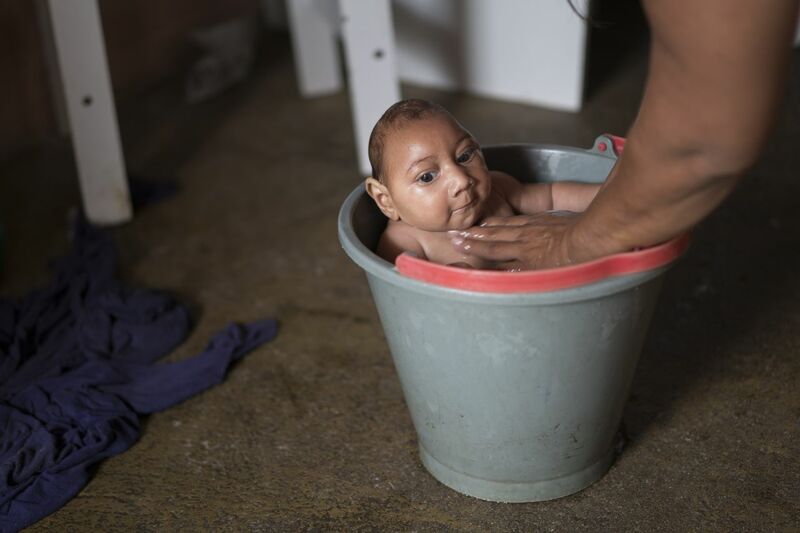 Following the massive outbreak of Zika in Brazil early in 2015, health officials also noticed a large increase in infants born with microcephaly. Although there is not enough conclusive evidence to directly link Zika virus infection with microcephaly, Zika virus RNA has been isolated from infants with microcephaly born to mothers who were infected with Zika during pregnancy. Furthermore, Zika virus has been detected in the amniotic fluid of mothers who were infected during pregnancy and also from fetal tissues of miscarried babies with microcephaly. While more research needs to be done, scientists and doctors believe that Zika virus infection during pregnancy can impact brain development in the fetus. In addition to a greatly increased prevalence of microcephaly, countries experiencing the Zika virus outbreak have also seen an increase in cases of Guillain-Barre syndrome in the population. Guillain-Barre is a relatively rare immune disorder that affects the peripheral nervous system, causing temporary (and occasionally permanent) paralysis in those affected. It remains uncertain if this uptick in Guillain-Barre syndrome is linked to Zika virus infection at this time. 8. What does this mean for me? Like I mentioned before, the good news is that Zika virus does not cause severe disease in most individuals. However, if you are pregnant or are considering becoming pregnant in the near future, the CDC has issued a warning to cancel travel to the areas most affected by the outbreak (basically all of South and Central America). If you think you may have been exposed, talk to your primary care doctor. As the outbreak continues, it is possible that Zika-carrying Aedes aegypti mosquitos will move throughout the United States and cause disease here. However, we don’t know if that will happen or if Zika will be limited to South and Central America. 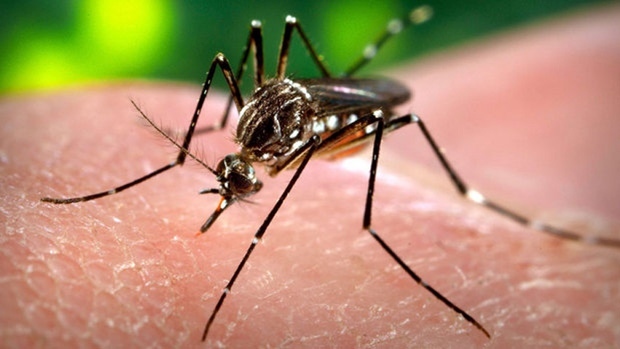 Using insect repellent and wearing the appropriate clothing is one of the best ways to protect yourself from mosquito bites as summer approaches. 9. 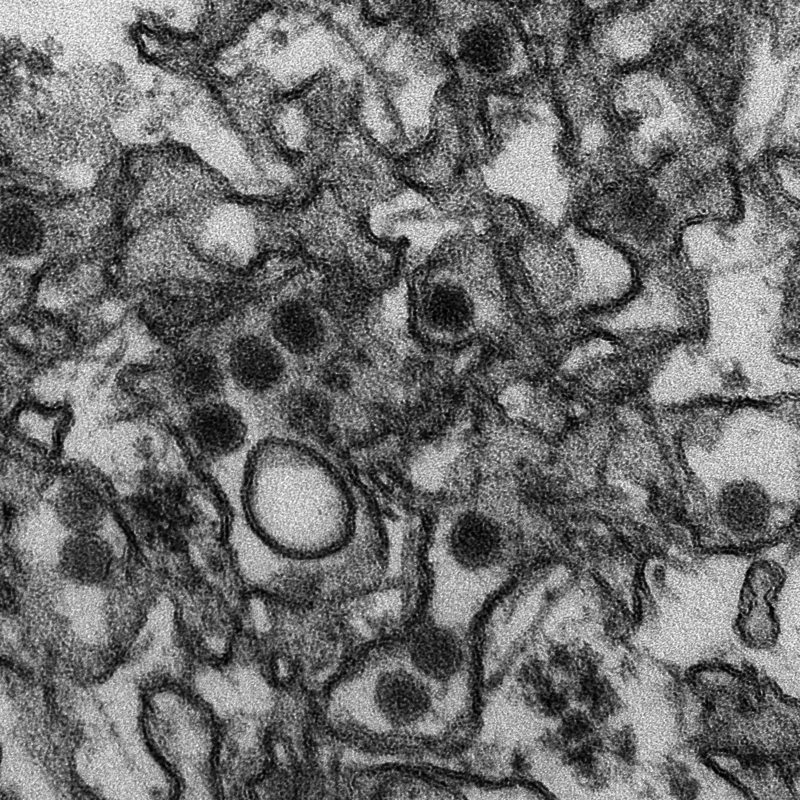 What’s next with Zika virus research? Since Zika virus is an emerging pathogen, there is still so much we don’t understand about the virus. For starters, the most important question is determining if and how Zika infection during pregnancy causes microcephaly. 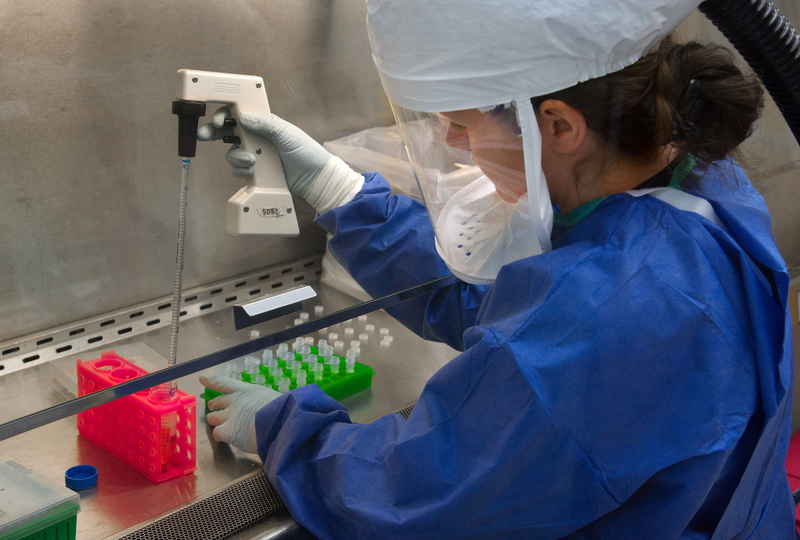 As testing for Zika virus infection becomes more routine and pregnant women are carefully screened, health officials and scientists will be able to learn more about virus transmission and its effects during pregnancy. Another area to watch is the evolution of Zika virus as it moves throughout different human and mosquito populations. Zika virus inherently has a high mutation rate and will evolve over time, especially since so many people are infected. By identifying new mutations, we may be able to better understand viral fitness and pathogenicity. The biggest effort right now is developing an effective Zika virus vaccine. Although emerging viruses bring with them the fear of the unknown, they also provide a platform where the disciplines of basic science research, epidemiology, and clinical research can unite and figure out how best to tackle this new threat. Jillian Carmichael is a 4th year PhD candidate in the Biomedical Sciences Graduate Program. She works in Dr. John Wills’ lab studying the molecular mechanisms of Herpes Simplex Virus Type 1 spread. Jillian also enjoys running, reading, hiking, and going on adventures with her daughter and husband. 3. Higgs S. 2016. Zika Virus: Emergence and Emergency. Vector Borne Zoonotic Dis. 16:1-2. 4. Gatherer D, Kohl A. 2015. Zika virus: A previously slow pandemic spreads rapidly through the Americas. J Gen Virol. 5. Foy BD, et al. 2011. Probable Non-Vector-borne Transmission of Zika Virus, Colorado, USA. Emerg Infect Dis. 17:880-882. 6. Musso D, et al. 2015. Potential Sexual Transmission of Zika Virus. Emerg Infect Dis. 21:359-361. 7. Faye O, et al. 2014. Molecular Evolution of Zika Virus during its Emergence in the 20th Century. PLoS Negl Trop Dis. 8:1-10. 8. Fauci AS, Morens DM. 2016. Zika Virus in the Americas—Yet Another Arbovirus Threat. N Engl J Med.